March 16 marks the birthday of our nation's fourth president. James Madison co-wrote the Federalist papers and sponsored the Bill of Rights. To celebrate this special occasion, we are highlighting the art featuring or including Madison on the Capitol campus. The most visible homage to the "Father of the Constitution" is the the Library of Congress James Madison Memorial Building. Located on Independence Avenue, it is an unusual combination of a national shrine contained in a working building. 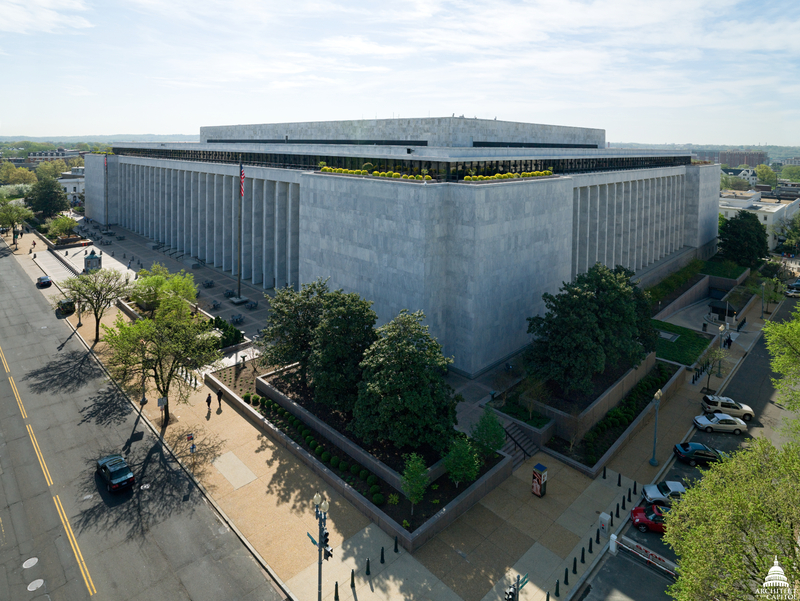 The facility is the largest library structure in the world (1.5 million square feet) and serves as our nation's official memorial to this American statesman. Naming a library in Madison's honor seems appropriate for the Founding Father known more as a writer than a fighter. The James Madison Memorial Building is located on Independence Avenue in South East Washington on the Capitol campus. Inside the building, a statue of Madison is located in Memorial Hall. Sculpted by Walker K. Hancock, the statue depicts Madison in his 30s sitting in a chair and holding a book. A 1/6 plaster model of the Madison sculpture, called a maquette, is not on the public tour but is located in the U.S. Capitol Building. The maquette served as a model for the unfinished sculpture. Hancock completed the statue at his Massachusetts studio. 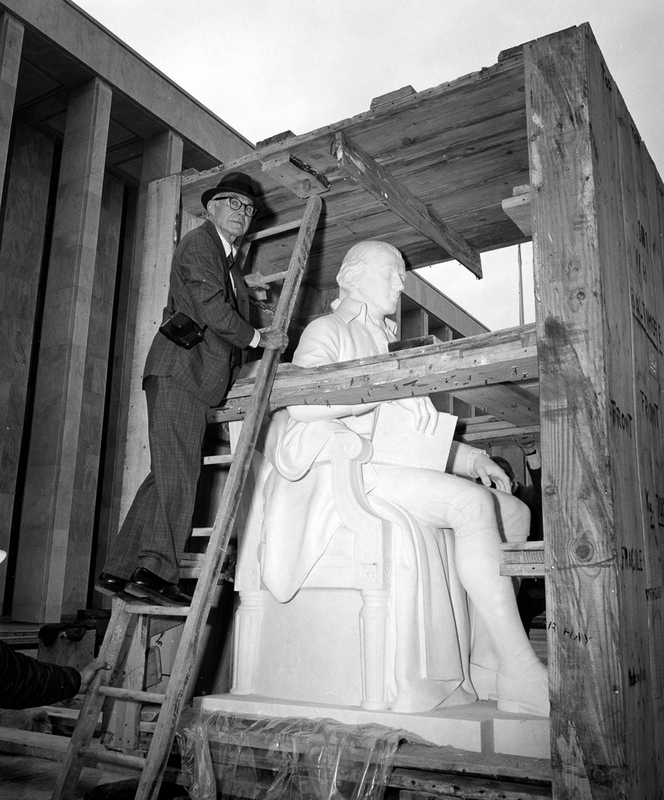 Hancock examines his James Madison statue when it was delivered in 1976. The sculpture is carved of Carrara marble. 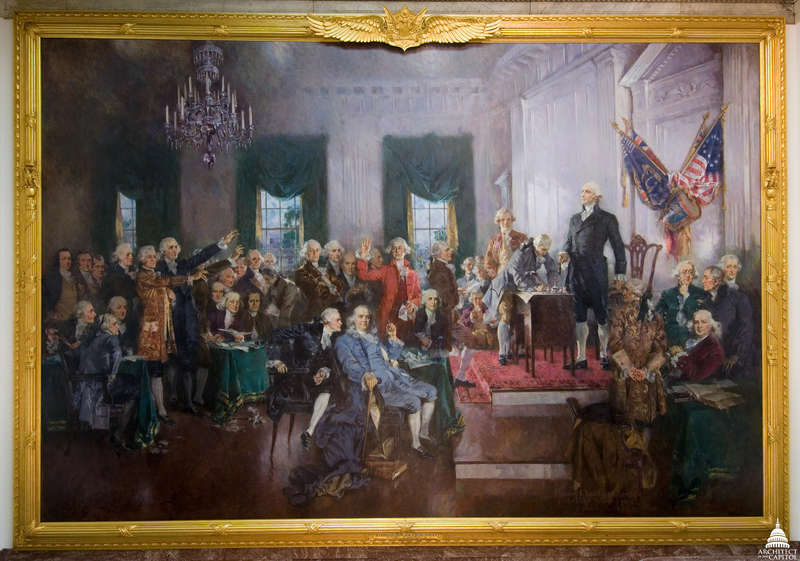 Crossing Independence Avenue and entering the Capitol Building, Madison's likeness can be found in Howard Chandler Christy's painting of the signing of the United States Constitution. Madison can be seen seated to the right of Benjamin Franklin and in front of the desk where Richard Dobbs Spaight of North Carolina is signing the Constitution. The painting hangs in the East Grand Stairway of the House of Representatives. Christy's depiction of the signing of the United States Constitution is an oil-on-canvas painting. 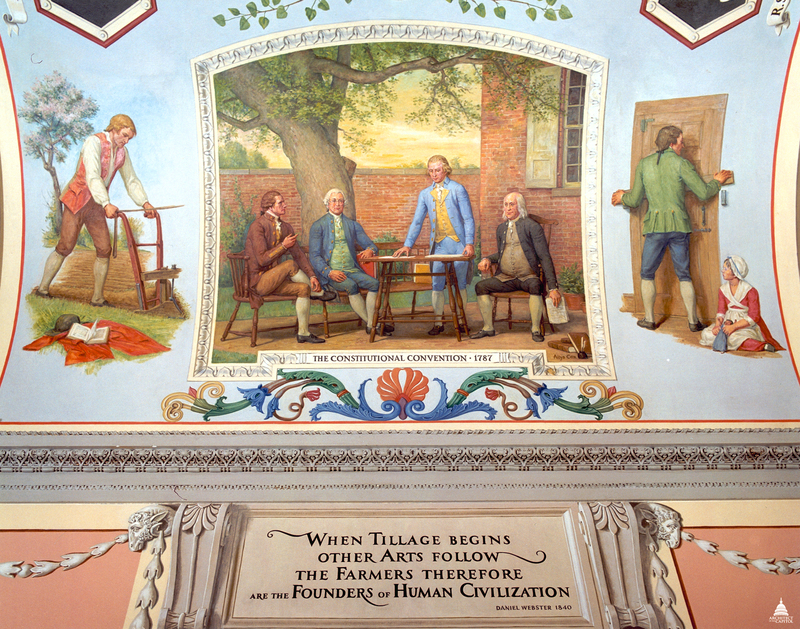 Head over to the Cox Corridors and the mural The Constitutional Convention 1787 by Allyn Cox shows delegates, including Madison, meeting in Benjamin Franklin's garden. Madison appears third from left in this mural by Cox. 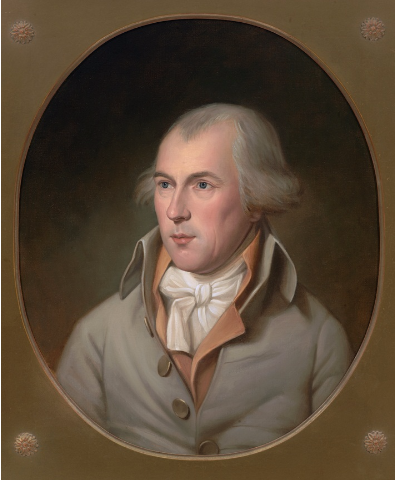 In another area of the Capitol Building, the collection managed by the House of Representatives' Office of the Historian includes a portrait of James Madison located in the corridor that connects Statuary Hall with the modern House Chamber. This portrait replaced an earlier painting of the Founding Father that was destroyed by fire. Replacement portrait of James Madison, unveiled in 2003. Finally, no article about James Madison and art would be complete without a shout out to his wife, Dolley, who is probably best remembered for saving the White House's historic Gilbert Stuart portrait of George Washington from advancing British troops during the War of 1812. That painting currently hangs in the East Room of the White House.